Indonesia is a country which rich of freshwater turtles, tortoises and terrapins species. Most of them are facing extinction due to habitat loss, hunting and human consumption. Here are the list of the most endangered freshwater turtles in Indonesia. This list is our opinion. Rarity to find in the wild, observation of internet trading, discussion with the pet owner and seller, reports are our method to compile this list. Protected in Indonesia. Spread in Java and Sumatra. Found in large rivers with clear water and sandy bottoms. This species is intensively exploited for food and pet trade. Little known about natural history and behavior of this softshell turtle. Protected in Indonesia. Very rare to find in the wild, even in collectors. A survey in east coast of Sumatra could not find the specimen, although local people can identify this species. They have four claw. Nesting season estimated February to April in Indonesia. An initiative to find the a health population and then to conserve this species is under progress by Satucita Foundation. Conservation of this species in under progress by Satucita Foundation. 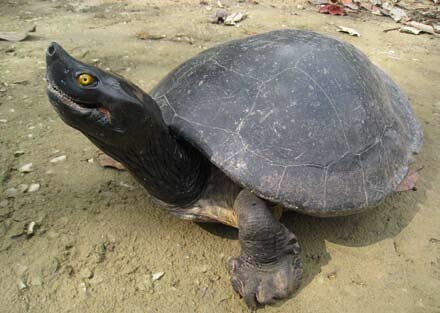 Roti Island snake-necked turtle (Chelodina mccordi) has quite a long neck. The carapace is approximately 21 cm long and extends out over its legs and head. When the turtle is threatened it folds its head and long neck under the edge of the carapace. Very little known this beautiful turtle. Its inhabits small fresh water lakes in high-altitude areas such as rice fields, marshes and irrigation canals. They are very seriously endangered because has been and continues to be hunted – these turtles are popular both as pets and as food – and their habitat is shrinking as well. It is endemic to Sulawesi Island. 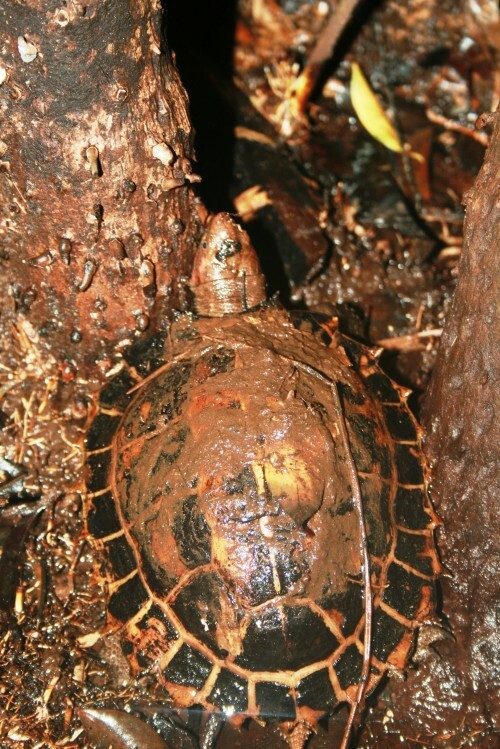 The Sulawesi forest turtle is a critically endangered species of turtle in the Geoemydidae family. Spread in Sumatra, Kalimantan and Java. 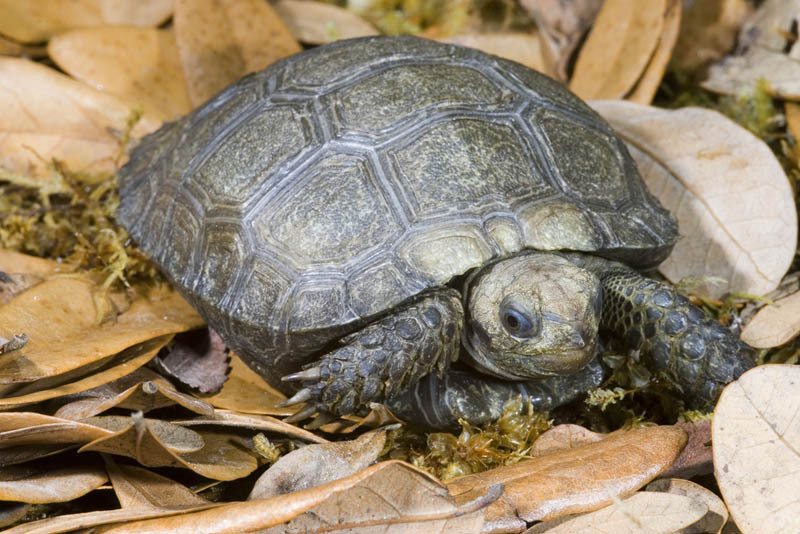 This freshwater turtle has a broad head and small eyes close to the tip of its snout. The carapace is smooth and olive-colored. 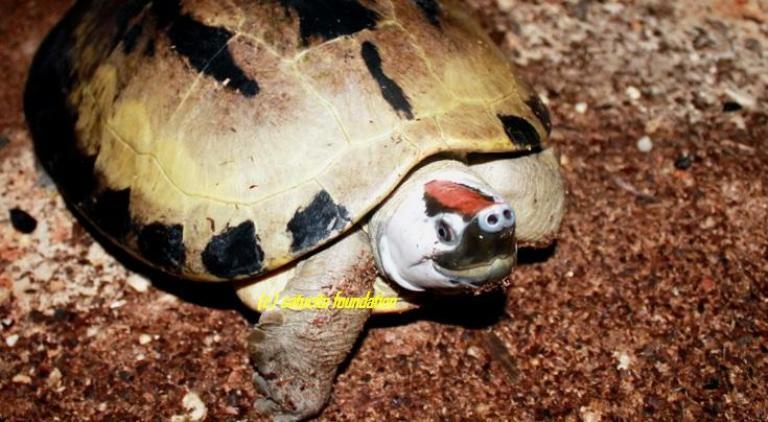 Juveniles may have dark-spotted carapaces and heads, with yellow around the carapace. They can grow up to 6 ft (about 2 m) in length. P. cantorii is an ambush predator and primarily carnivorous, feeding on crustaceans, mollusks and fish (some aquatic plants may also be eaten). Laying 20-28 eggs (about 1.2 to 1.4 inches [3.0-3.5 cm] in diameter) in February or March on riverbanks.